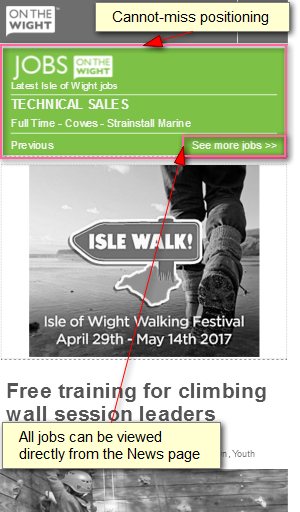 Isle of Wight jobs listed on Jobs OnTheWight get exposure like no other. 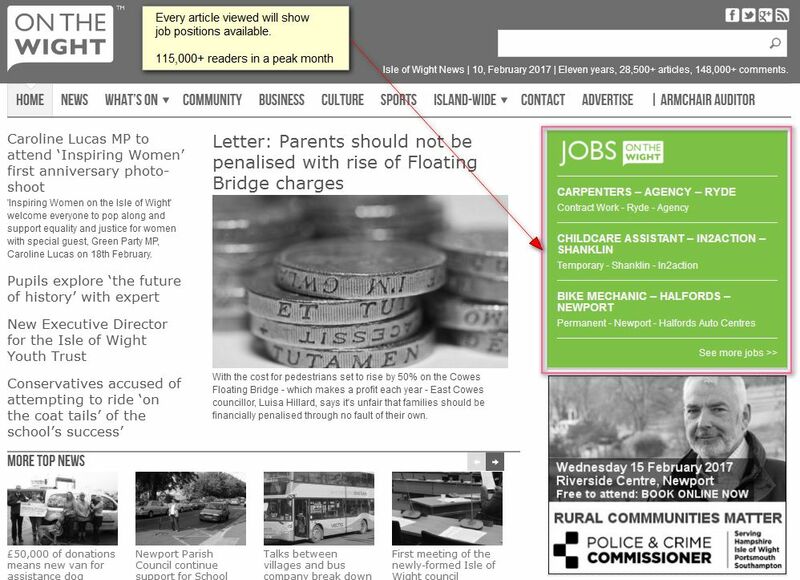 Vacancies are placed at the top of every article on OnTheWight News, both on Desktop and Mobile. With OnTheWight News readership exceeding 115,000 readers in a peak month, it’s a level of exposure that is hard to beat on the Isle of Wight.